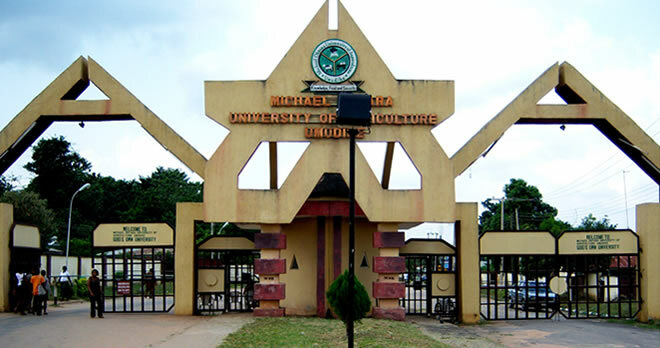 Michael Okpara University of Agriculture, Umudike (MOUAU) Direct Entry Admission Screening Form, Eligibility, Admission Requirements Dates and Application Guidelines, Exam Date, Time and Venue for 2018/2019 Academic Session. Latest Update: This is to inform all D.E candidates that applied to MOUAU that the on-site screening earlier scheduled for Friday 14th Sept, 2018 has been shifted to Wednesday 19th September, 2018. Time 9.00am. The management of the Michael Okpara University of Agriculture, Umudike (MOUAU) invites suitably qualified candidates to its 2018/2019 academic session Direct Entry screening exercise, beginning from Monday 13th August 2018 and closes midnight Friday 14th September 2018. Candidates are required to register online for the MOUAU Direct Entry Admission screening. All candidates who applied to Michael Okpara University of Agriculture, Umudike for the Direct entry admission are eligible. Return to the site to continue registration. P.S: If you encounter any challenges after payments, kindly contact the University Portal Office. Register by filling an online Application form and selecting proposed Department and other requisite details. KINDLY REGISTER IN DEPARTMENT APPLIED FOR IN JAMB. Candidates are required to fetch their O’level results by inputing in the required field for WAEC/NECO/NABTEB/TC II Exam number, Type of Exam, Year of Exam, O’levels Exam Scratch card details (PIN and Serial Number on the card). Note only details on cards not used not up five times are valid. Ensure that the correct result/ results have been fetched before clicking on the submit menu. Fill the form, submit and take printout after executing the Submit button. System sends a copy of submitted form to your email for records. Printout of filled form as this contains candidate’s unique Direct entry Admission. Screening number as an evidence that candidate has registered for the Direct EntryAdmission Screening. Originals of WAEC/NECO/NABTEB/TC II certificates. Original copies of A’ levels/ Diploma / NCE/Degree certificates or evidence of same for sighting. Statement of result indicating CGPA obtained, if available. Candidates are to ensure that registration details provided conform with information on certificates presented for the screening.